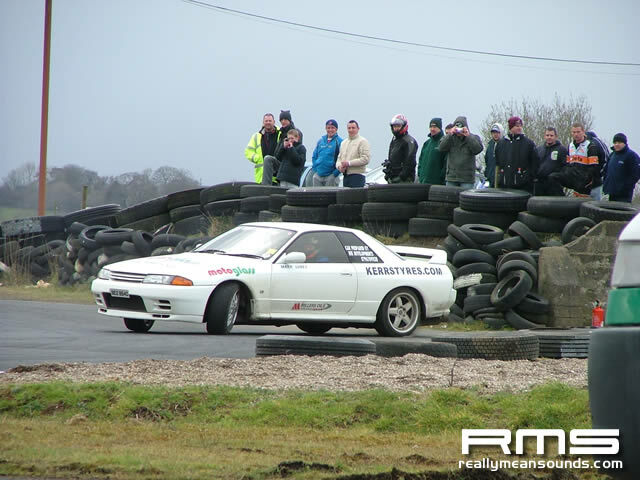 Off the back of the successful race days at Aghadowey, the SWRC team headed by Wayne Owens decided to hold a stand alone track day. 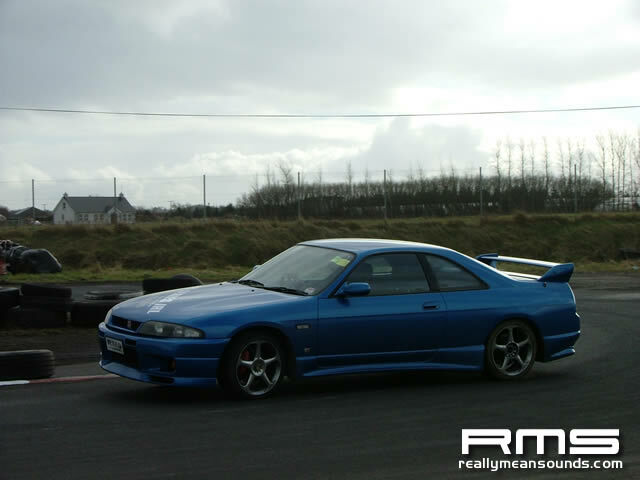 No better opportunity for me to get out testing in my latest vehicle, the bayside blue R33 Skyline. 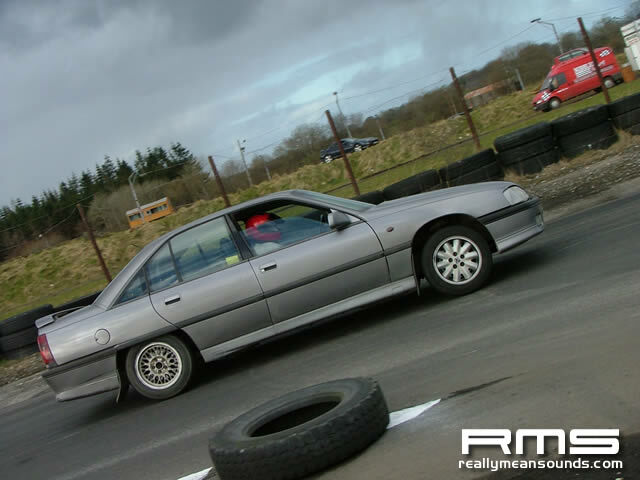 By the time we had called by the Kilrea Mace (for the obligatory sausage rolls) the track day was well underway. 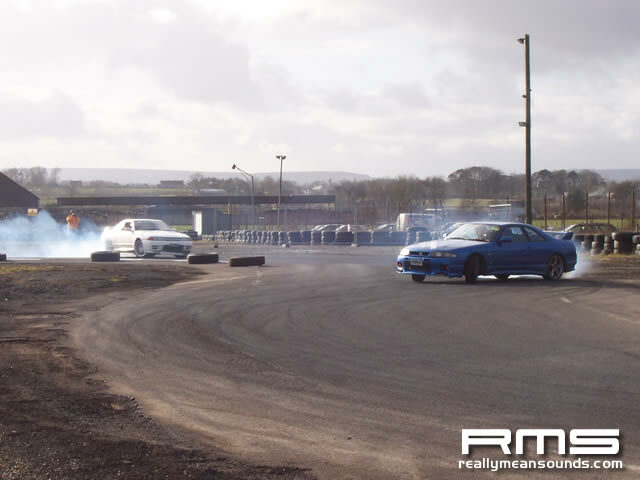 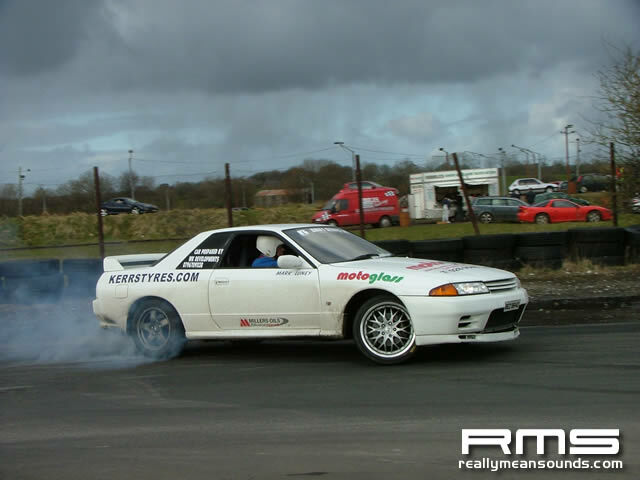 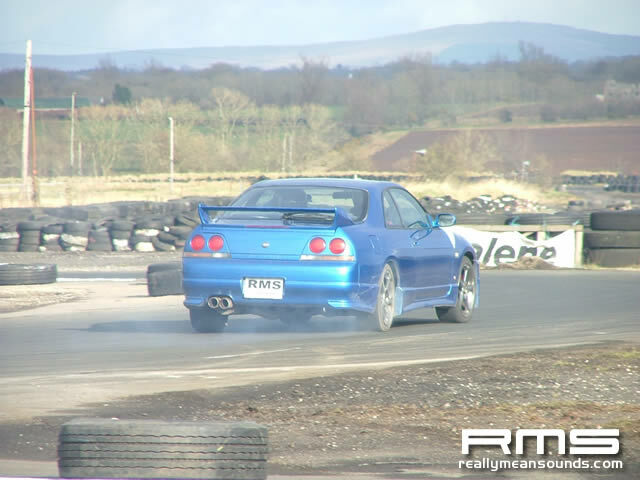 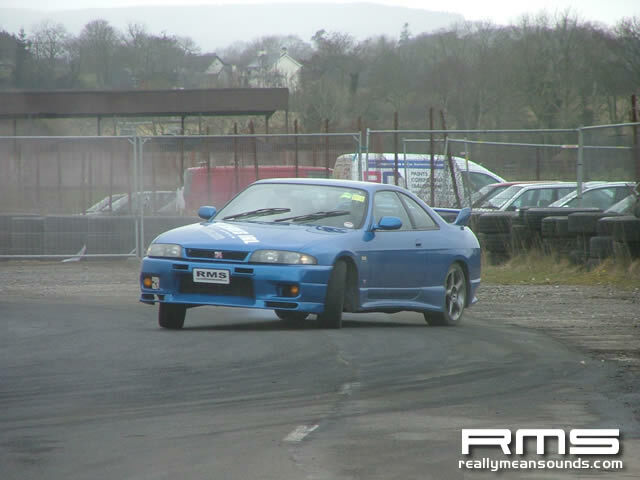 Mark Luney was out testing his new drift setup in an R32 GTR Skyline and providing most tyre smoke of the day. 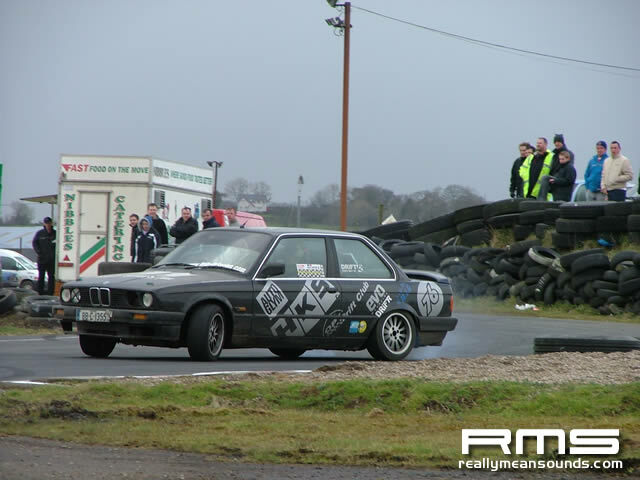 Alan McBride was down in his M3-powered 3 series drift car as was Richard Bradley and the lads from Cookstown in the Carltons and Senators. 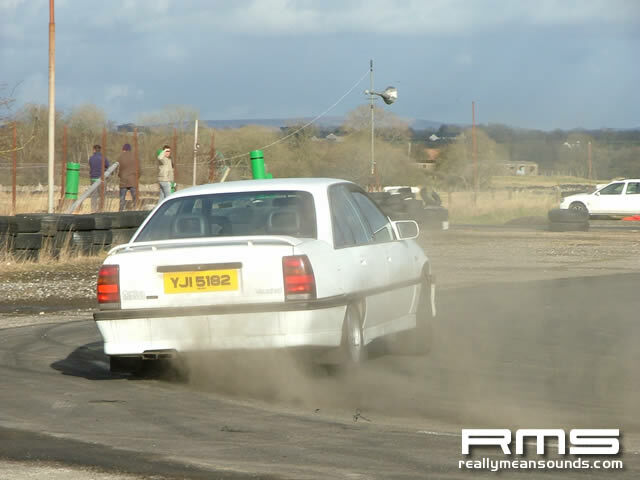 Robert’s white carlton was in full style wit plenty of donuts thrown in! 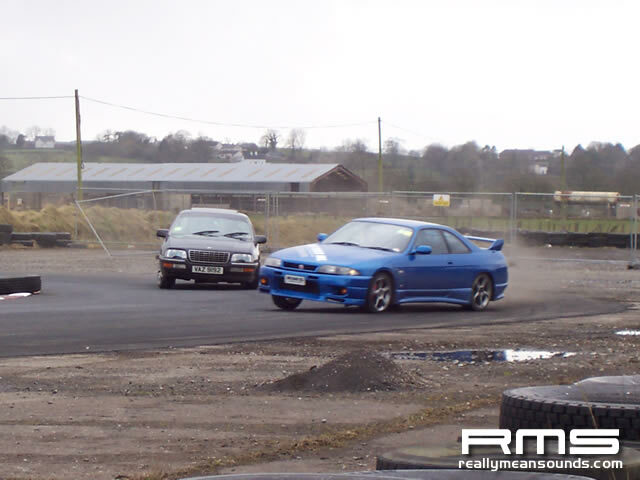 I also spotted Dave McNeill in his rwd Saphire Cossie. 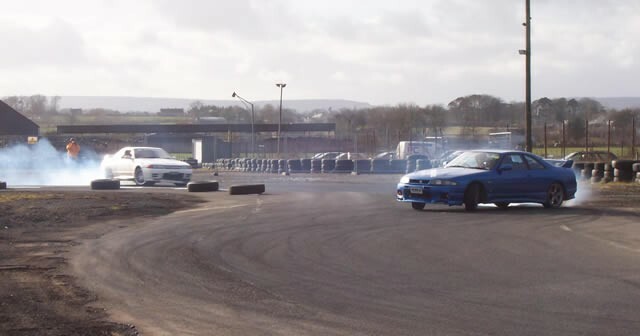 Needless to say plenty of sideways action. 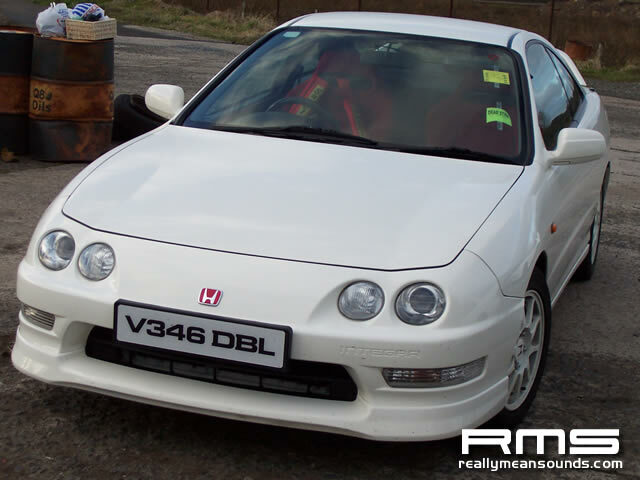 RMS moderator Pete Wilson (Venom) also lost his track day virginity and took the plunge in his stunning Integra Type-R.
Not a great start to the day for me though! 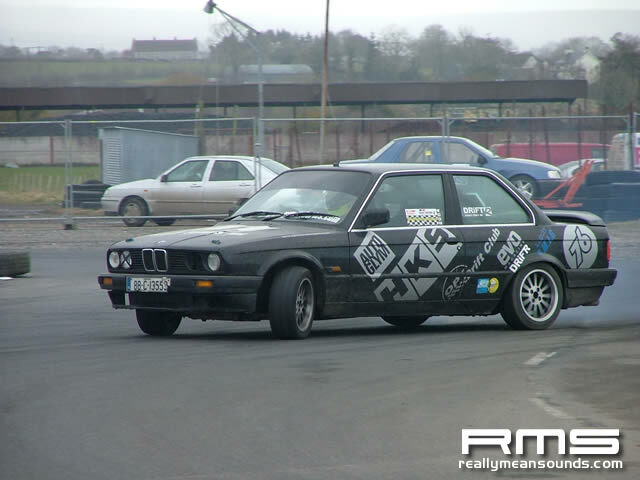 I used the same wheel nuts for my road wheels on my track alloys, and half way though my third lap I heard a loud rumbling. 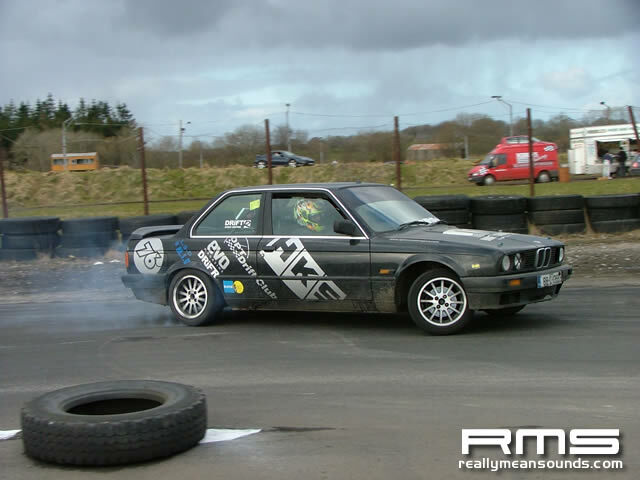 The nuts had pulled through the wheel and the wheel had started to pull off. 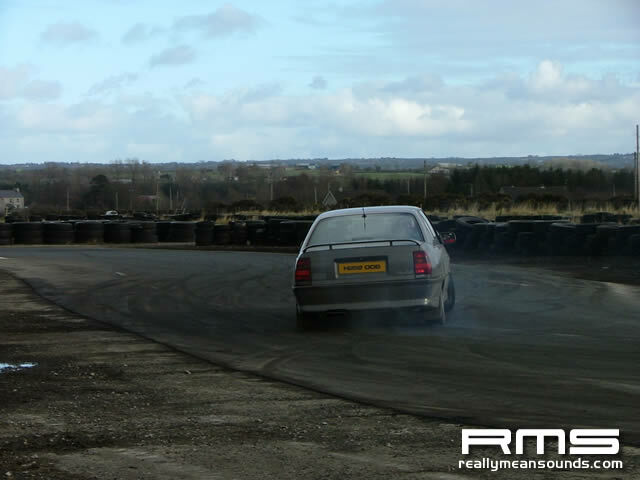 Not easily deterred, I just put the road wheels on her and I was back out in the next group! 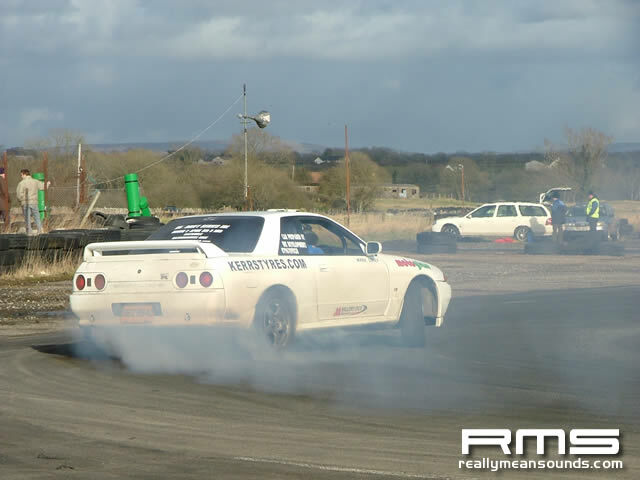 After some quick filming of my Skyline by resident Cameraman/nut Stuart Girvan, it was time for the drag racing. 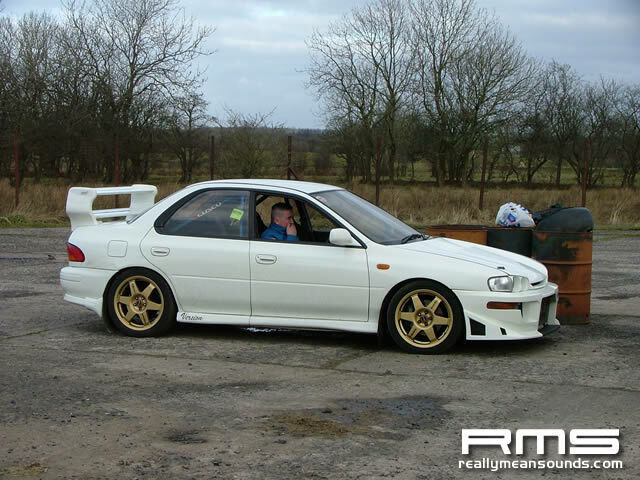 Smiley’s white Subaru Impreza won all round and I had my arse kicked by it and Alan’s BMW. 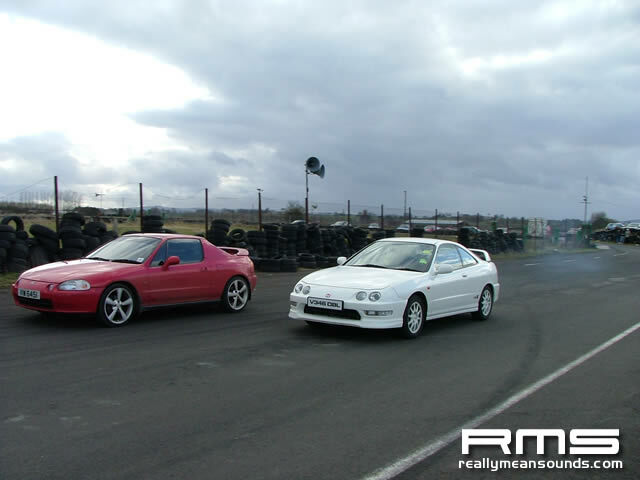 I did beat Pete though! 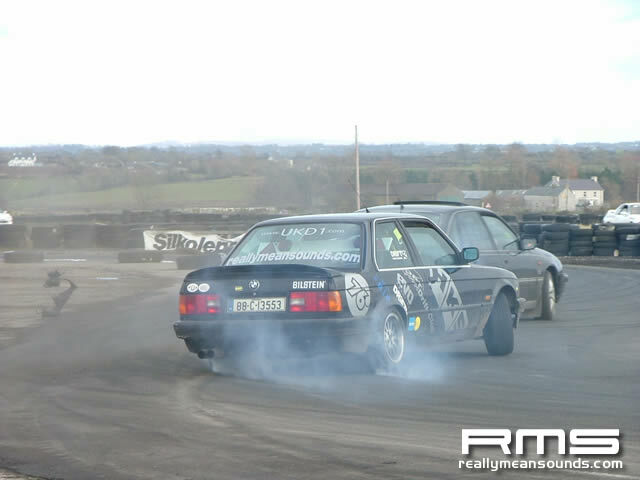 Again another great day’s craic. 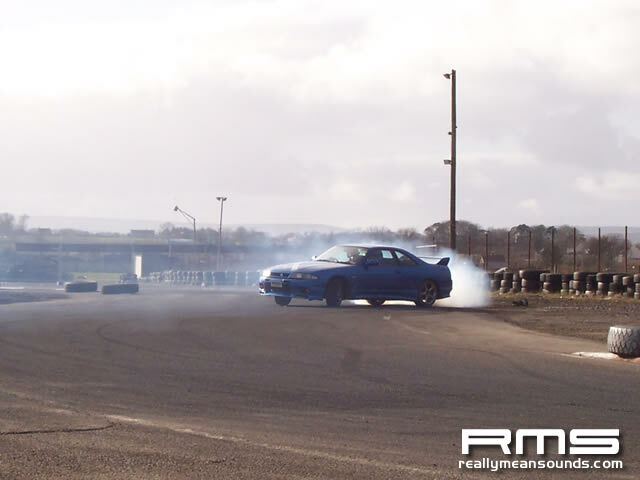 A big thanks to Wayne for giving up some track time for our footage and being so accomodating. 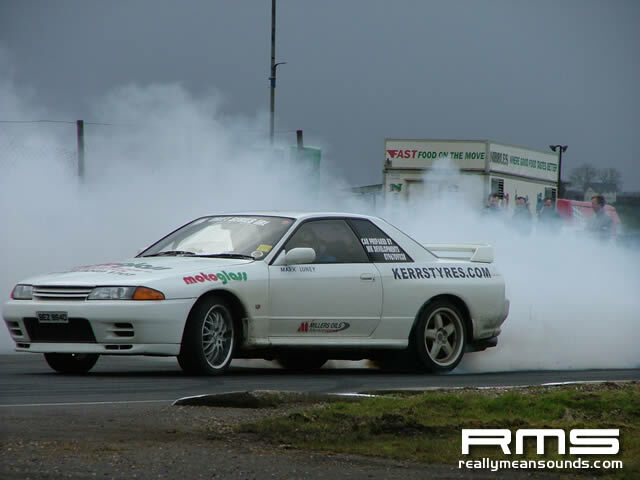 Sorry if I’ve missed a few names or details but feel free to mail me if you want a mention!